This month I’m taking a closer look at home sale and home listings in order to give you better insights in to the Greater Vancouver housing market. I’ve listed some numbers below basically the story continues: Home sales continue at record levels; housing inventory isn’t keeping up with the demand. 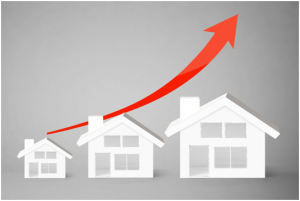 With the demand so high it makes it increasingly difficult for buyers to act. Getting the listing information quickly a key advantage in your buying strategy. For buyers to be successful, I strongly recommend Email Alerts to receive listings as soon as they are posted. Greater Vancouver home sales in May, at 35.3% above the 10-year average, set another new record: 4,769 homes were sold (39% detached, 16% attached and 45% apartments). The total number of listings available at the end of May was 7,726. That’s 37% lower than at the same time last year – but the reason it’s lower is because demand and sales are so high. We actually have more new listings each month than we usually see, but they are selling so fast that the inventory of listings for sale at any given time can barely keep up to demand. Not surprisingly when demand so outstrips supply, prices get bid upwards and we are experiencing that too. In spite of all the new construction across the region, rental vacancies remain stubbornly low and buyer demand continues to soar. The number of new homes started construction in Greater Vancouver this year is expected to be about 25,000, up substantially from the 5-year average of 19,000. About 20% of new home starts in 2016 will be single family detached, the rest multi-family developments. Over 7,000 new homes were started in the first 3 months of 2016 alone. At the same time, the standing inventory of completed-but-unsold new homes has been trending steadily down, from over 4,000 units just a couple of years ago to fewer than 2,000 this spring. In the first quarter of 2016, nearly 2/3 of single family homes and over 80% of condo apartments were sold at or before completion. It seems unlikely that it will get easier for first-time buyers to break into the housing market, so rental units will become increasingly important in the housing mix. Currently in Greater Vancouver 65.5% of households own, 34.5% rent; in Vancouver City 48.5% own and 51.5% rent. The rental vacancy rate for the region is a low 0.8%. Overall in Greater Vancouver, 19.2% of rental units turned over (changed tenants) in 2015. Turnover rates varied from a low of 8.2% in Southeast Vancouver to a high of 48.3% in the University Endowment Lands (North Vancouver about 12%, Tri-Cities 16.8%, White Rock 15.7%, West End 16.4%). In general areas around post-secondary schools saw higher turnover. Ok, Inventory is low and demand is high. Homes are turning over within days of being listed. Getting listings early is a must-have tool in your home search. Shannon Realty can help with Email Alerts. Register now for email notifications as soon as listings are posted to MLS.